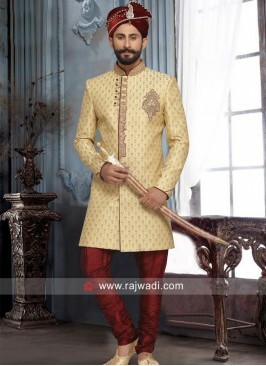 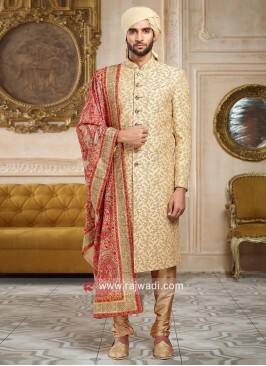 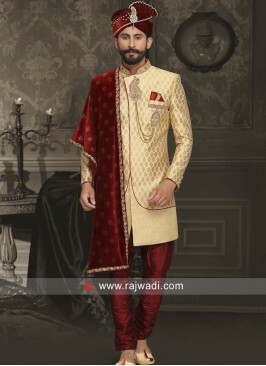 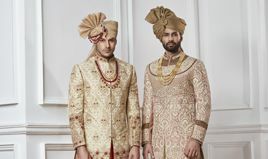 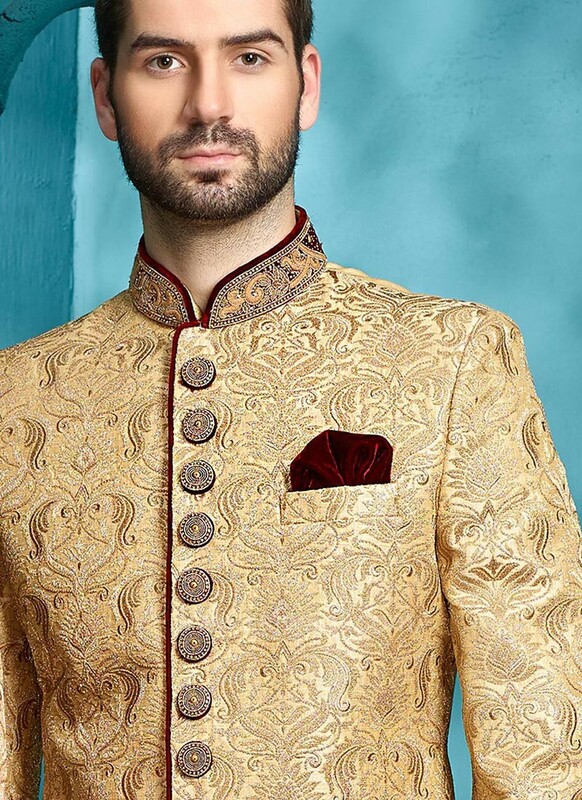 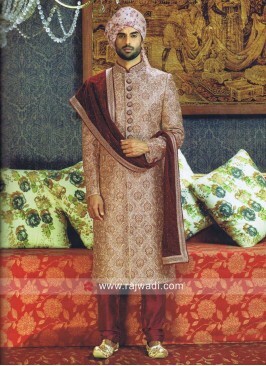 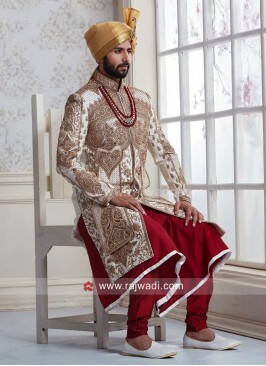 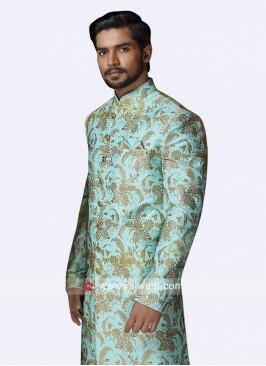 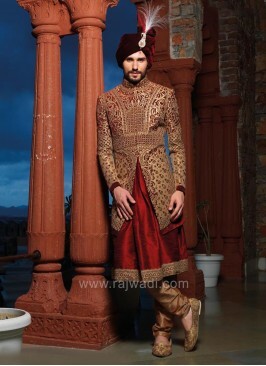 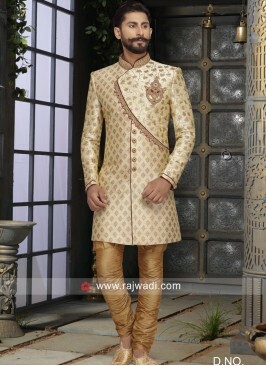 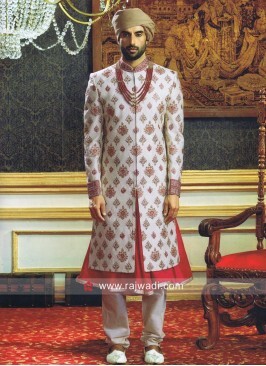 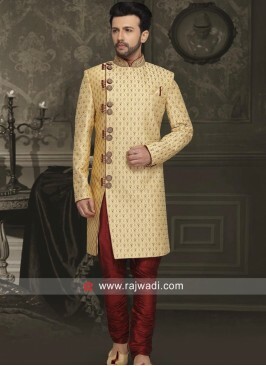 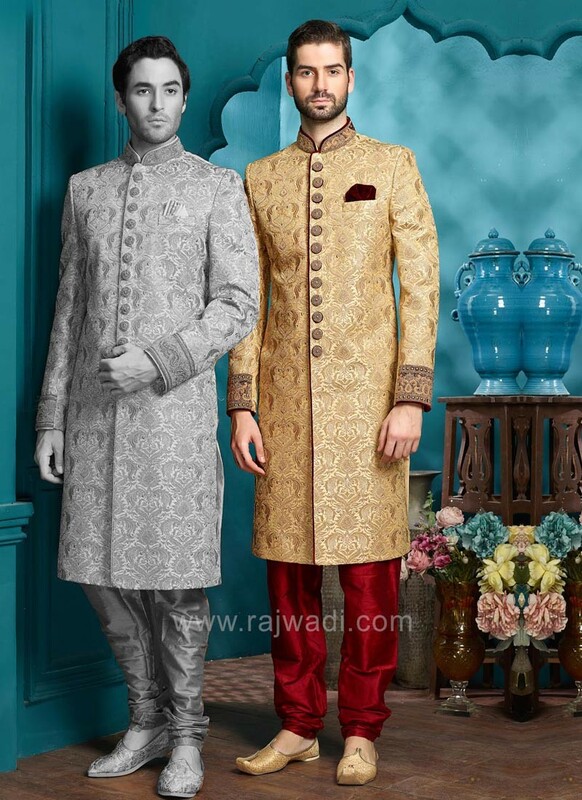 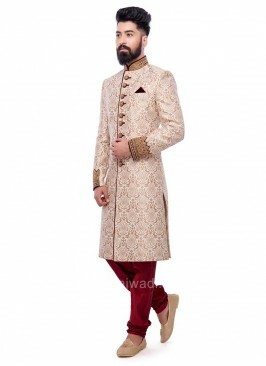 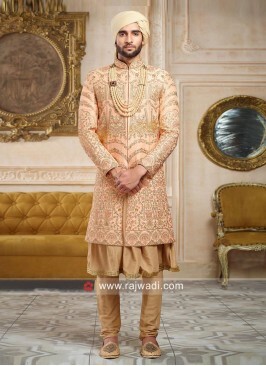 Stunning cream and golden color indo western sherwani is fabricated on silk with maroon Colored churidar. 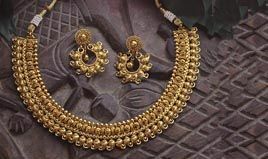 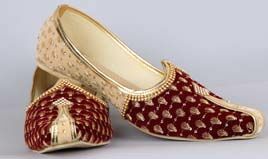 Self designed motifs all over the base giving it a rich ethnic texture. 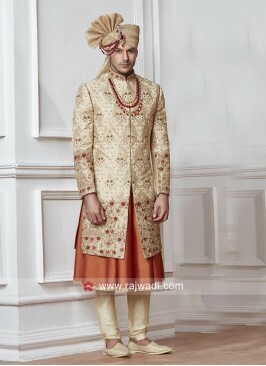 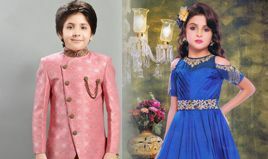 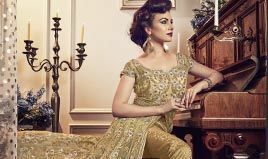 Make your celebration come alive with this stunning outfit. 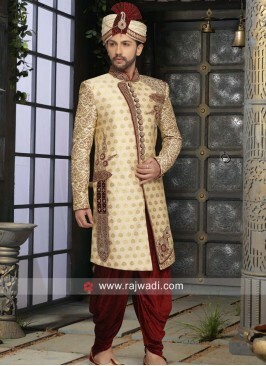 Raw Silk High Neck Embroi..